Singapore Airlines (SIA) began with incorporation of Malayan Airlines (MSA) in 1947 but due to differences between Malaysia and Singapore, they split in 1972 and Singapore Airlines was formed. They are known for being an industry trendsetter. The airline together with its wholly-owned subsidiaries SilkAir, Scoot and Tiger Airways covers 131 destinations in 35 countries. The Singapore Airlines Group employs more than 25,000 staff as of 2016. 1. Reputation of being a trendsetter in the aviation industry: Singapore Airlines is renowned as an industry leader with continuous innovations and has set many benchmarks in the airline industry. Preferences of meals and free drinks to customers were introduced in the flights. Developing in-flight meals with a wide-ranging panel of world well-known chefs. Offered audio and video services on demand in the flight for economy class. Satellite based in-flight telephones were first introduced by SIA in 1991. The airline first to offer different services across all three classes of travel on the ground as well as on the air with new levels of soothe food and entertainment as well as launching a frequent flyer program which allows earning mileage points for all three classes of customers. 2. Capitalizing on the premium infrastructure of Singapore Changi hub: Singapore Airlines solely relies on international traffic and Singapore is a major transit hub for traffic from Indian-subcontinent and Middle East towards Australia and the West Coast (United States). The airline has capitalized on the premium facilities and infrastructure available at Changi Airport as its major strength. The country has heavily invested in the airport and developed it into a world-class facility - both in terms of network connectivity and airport infrastructure features. Changi airport in collaboration with airline partners such as Singapore Airlines has embarked on initiatives such as Airport Collaborative Decision Making (ACDM) which has added capacity to the airport ecosystem. Other initiatives include infrastructure for Meetings, Incentives, Conventions and Exhibitions (MICE), cruises and low-cost global connectivity. This has enabled Changi Airport and thus Singapore Airlines to remain ahead of its competitors. 3. Young and highly fuel efficient fleet: Singapore Airlines maintains a modern fleet of 106 aircraft with different aircraft families: Airbus A330-300, Airbus A380-800, Boeing 777-200, and Boeing 777-300. They have a policy of maintaining a young fleet and they renew its fleet as required and maintain an average age of 7 years. The latest jets help in delivering a best-in-class customer experience and also are environmental friendly in terms of fuel costs and carbon emissions. This helps Singapore Airlines is a step ahead of its competitors. 4. Consistent financial performance in face of increased competition: Singapore Airlines has maintained consistent financial performance in a tough economic and business environment. 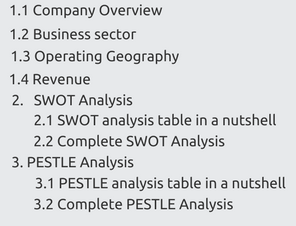 The revenue figures for every quarter over the last two years show revenue of more than 3500 million SGD. Not only the revenue but also the profit after tax, return on assets are positive. Irrespective of increase in regulations, security costs after 9/11 attacks and the volatile fuel prices, the company has maintained profitability. 1. Location drawback with respect to other competitors: Singapore Airlines has a location disadvantage to connect with US in long haul distances with respect to its competitor airlines such as Cathay pacific and Philippine Airlines, which have a major market share in the traffic to US. As these rival airlines are geographically situated closer to major North America, they can fly without using long-range aircraft unlike Singapore Airlines. Further, the gulf carriers such as Emirates, Qatar Airways and Etihad are well placed geographically with access to two-thirds of the global population within an eight-hour flight distance and have captured a significant market share over the last few years. 2. Weak presence in major markets such as North America and China: Singapore Airlines has been plagued by growing competition from Chinese and North American carriers leading to its relatively weak presence in lucrative markets such as China and the United States. The airline has also decreased its non-stop flights to United States in wake of increasing competition and low profitability. The airline has also not been able to enter into any strategic alliance with Chinese airlines majorly due to the difficult economic environment and regulations. Increasing competition has also led to airlines cutting ticket prices just to hold market share which has severely impacted yields. Singapore Airlines clocked a passenger yield of just 10.1 Singapore cents per passenger-kilometer in March-quarter 2017 which was the lowest since 2009, highlighting the airlines low yields. 3. Majorly reliant on international traffic: Singapore Airline which is the flag carrier of the country suffers from the lack of domestic market on which it can bank upon in face of increasing international competition. Rival Chinese carriers and Australian aviation major Qantas have a huge domestic market presence to rely upon and increase their dominance. Further with opening up of long-haul routes such as direct Perth-London with the latest Boeing and Airbus jets, Singapore as a connecting hub may lose its relevance in the future, thus impacting SIA’s demand. 1. Fall in the ATF (aviation turbine fuel) prices: Due to the tensions and to gain market, countries like Saudi Arabia, UAE wanted the fall of oil prices, which is a positive factor for Singapore Airlines as their income would increase. Irrespective of the increase in prices of ATF, SIA have never compromised in pricing strategy, it has always followed premium pricing strategy. So, once the prices come to normal, their may be effect on the business of LCC. 2. Adverse currency movements: Volatile foreign currency movements and the depreciation of SGD against other benchmark currencies can significantly impact SIA’s margins. The SGD has significantly depreciated over the past few years which has resulted in foreign exchange losses for SIA. Further, the SGD is still perceived as being overvalued as per industry outlook and may further depreciate till 2018 impacting SIA. 1. Changes in regional and global regulatory framework: The aviation regulations differ vastly across different countries, underscoring the importance of SIA to adhere to the regulatory standards as applicable. Any changes in the regulatory framework of Singapore Airlines can completely affect the business and as it is backed by government, it would have an impact at global level. One notable example is the adoption of the ASEAN Air Traffic Management master plan in 2017 which will pave the way for seamless single sky across ASEAN member countries. This will open up new opportunities for the carriers in the region but will also significantly increase the competition. Singapore Airlines through its subsidiary carriers SilkAir and Scoot; and can look to capitalize on the opportunity and expand its network. 2. Lawsuits in case of service deficiencies and pricing: Singapore Airlines is a global carrier and deals with hundreds of thousands of customers daily across different geographies and any issues with its service may lead to lawsuits. The airline has been involved in several lawsuits in the past related to customer grievances, personal injury claims. The airline has also been fined S$112 million for allegedly being part of price–fixing cartel by the European Commission (EC) in 2017. 1. Strong Environmental Management System and green practices: Singapore Airlines has an EMS (Environmental Management System) with ISO certified standards in Engineering and flight operations division as well as in SIA engineering company. Singapore Airlines encourages its employees to adopt green practices like sending and receiving messages electronically, while taking prints, opting for double sided, saving files electronically, and also recycling paper which has been used single side for drafting. 2. Optimal Usage of resources: Singapore airlines have a new office management system for optimal usage of resources that focuses on reducing the energy consumption by using zonal lightening system, using LEDs in place of tungsten halogen for down lights, a light management system which automatically switches after office hours. 3. Supports IATA’s four pillar strategy: To reduce the aviation emissions, IATA promotes technology innovation and treats as the first pillar, the second pillar is operational excellence which could reduce CO2 emissions up to 3% by 2020, the third pillar is the infrastructure i.e. implementing best air traffic management to reduce emissions, and the final pillar is market based measure as the three pillars involve high costs to be developed and the fourth pillar can be a interim to decrease carbon emissions by 2020. 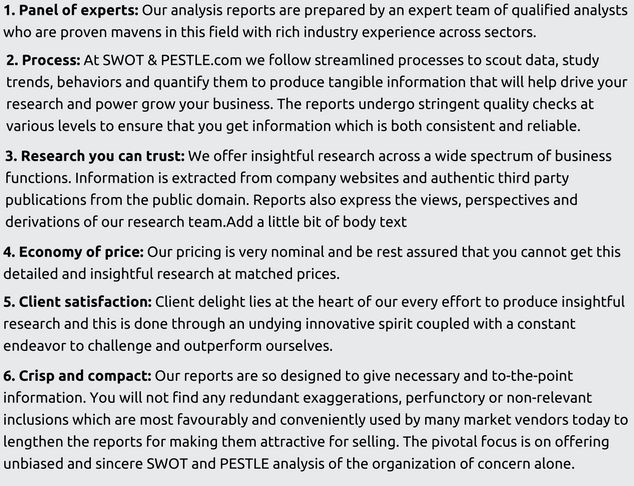 Singapore Airlines Limited PESTLE analysis has been conducted and reviewed by senior analysts from Barakaat Consulting. 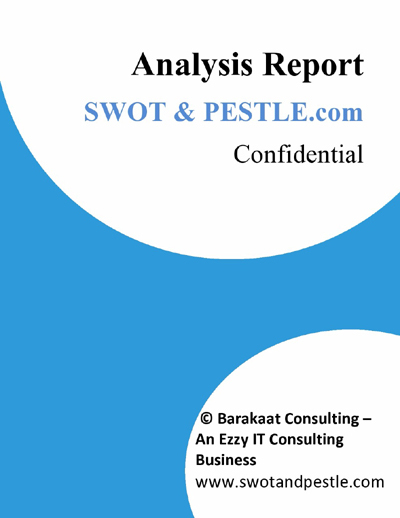 Copyright of Singapore Airlines Limited SWOT and PESTLE Analysis is the property of Barakaat Consulting. Please refer to the Terms and Conditions page for usage guidelines .